PRINTING PRESS BUSINESS PLAN - This sample Large Format Printing Press Business Plan in Nigeria that can be used to get Grant Applications, Bank Loans, Proposal writing, Business Concept Note, Competitions etc. 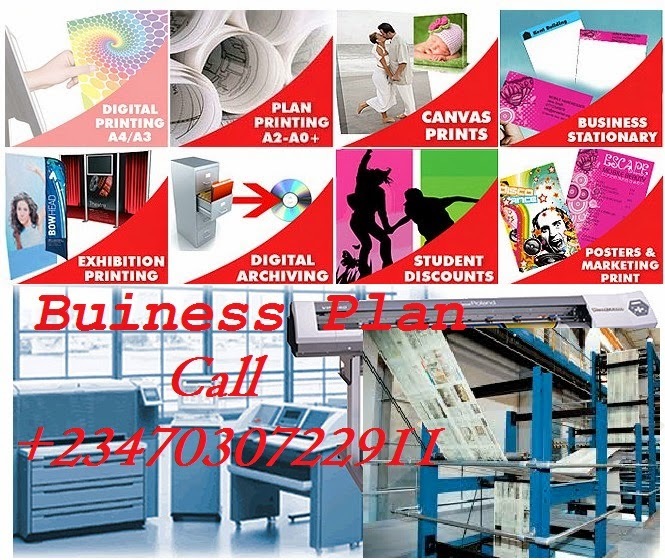 Printing Press Business Plan In Nigeria is a lucrative business that needs a lot of planning to start and a business. Do you want to begin the printing press business? A little advice; Never go into any business you don't have any idea about. 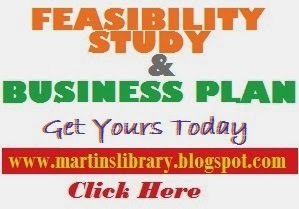 You should Contact Us for a well written business plan and feasibility study for that business you want to start. This will give you all practical details of the business. What industry is the Printing Press? This is a big question most people ask - Contact us for a Business plan and find out. Name of business here - This is a printing press company that provides quality and affordable printing services to emerging Nigeria market. -Printing of Souvenirs e.g: Jotter, Writing pads, Programme booklets for events etc. Our clients receive the quality of printing they need, with maximum efficiency and reliability. The demand for printing services for a wide range of print media, including invitation-cards, handbills, posters, calendars, note-pad, Company profile, event-programme, books, brochures, booklets, business forms, catalogues and labels. Etc. Nigeria has over 170million growing population which means a huge demand. 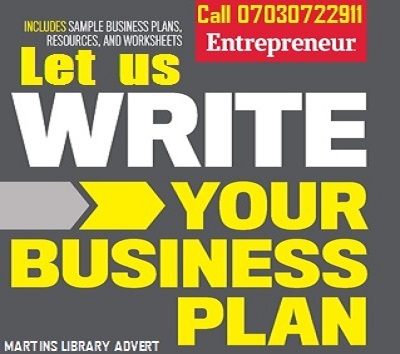 OBJECTIVE OF PRINTING PRESS BUSINESS PLAN IN NIGERIA• Constant growth in sales in 12 months. • To generate customer satisfaction so that at least 60% of our customer base is repeat business. • To provide quality product at reasonable prices with exceptional services. GOAL OF PRINTING PRESS BUSINESS PLAN IN NIGERIA- To be a one stop-shop for printing solutions in Nigeria. To be a one stop-shop for printing solutions at affordable price with exceptional quality . Mrs C graduated with a Bsc degree in Management from the University of (Name of school) in 2013. She worked for many years in the banking industry within Treasury, Public sector and Private banking. She left the bank to set up ABC International Limited, which is a trade representative of CDE Industries, the producers of the famed Gerard roofing tiles. She brings to the printing press her vast marketing and sales experience. She never takes no for an answer until a sales transaction is concluded. He has Degree in Business Management and he is a project management professional. He has over 7 years in the industry. He will be our business development partner and marketing strategist. The practical years of experiences in printing works and operations will brings credibility and competence to the business. It will benefit from sales and customer relationships skills I have learned since I start this work with my father since childhood. She has over 10 years experience in the industry. He has proficiency in Graphics works, Typing, Lithography, Offset Printers, Digital Separation, Large Format printing. She will be in charge of our operations. Good graphics design- This is what separates the professional from amateur in the industry. With proficiency in design, customer will be looking for you. Using good & qualitative printing paper and other materials- Paper is also one of the success factors in the industry. The objective of this document is to provide information regarding investment opportunity for setting-up a Tarpaulin and T-shirt printing, with focus on product differentiation i.e., providing some unique services (Heat Press and Large Format tarpaulin printing) which are not offered by the existing tarpaulin and t-shirt printing in the area. The business can be established in any of the major cities/municipalities of the country such as in the town of Lagos. This feasibility study is conducted to, determine the marketability, feasibility, and profitability of Tarpaulin and t-shirt printing business in Libungan, Cotabato. 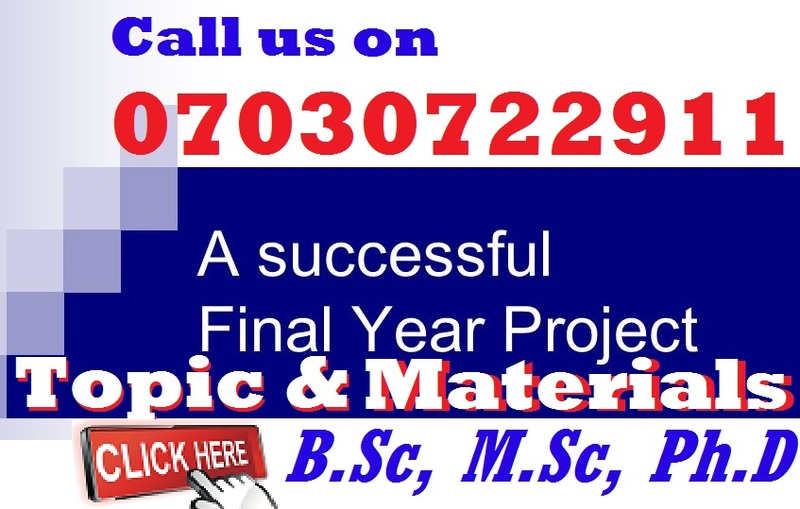 Another, this feasibility study also aims to determine and develop an effective products and services differentiation ,the management and human resource requirement ,technical requirements in establishing an Tarpaulin and t-shirt printing business, and lastly to determine the feasibility of this type of business in terms of Return on Investment and Return of Investment. 2. Captured the large number of customer in the market considering the increase in sales every year and customers loyalty/patronage.